THE Victorian Football League (VFL) Women’s Best and Fairest took place on Monday night and recognised the standout players from a successful inaugural season. 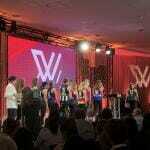 We recap the main award winners, as well as the VFLW Team of the Year. Williamstown midfielder, Jess Duffin has become the first league best and fairest winner to come from a team that did not make the finals. Her Seagulls finished eleventh with a record of four wins and 10 losses. The former Collingwood AFL Women’s player polled 23 votes, which was six ahead of Darebin ruck, Lauren Pearce. 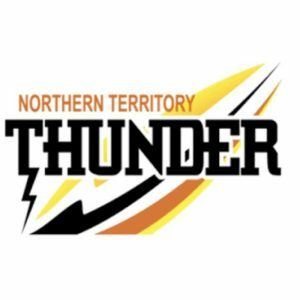 NT Thunder captain, Angela Foley came third with 16 votes while Carlton forward, Darcy Vescio and Hawks captain, Emma Mackie rounded out the top five with 15 votes a piece. Duffin ranked first in the VFLW this year for total disposals, uncontested possessions, marks and rebounds. She was also ranked third for contested possessions and inside 50s, while also kicking 13 goals from her 13 matches. The North Melbourne AFL Women’s recruit held the lead (either outright or shared) from Round 6 to Round 12. After falling behind Angela Foley in Round 12, the Melbourne Renegades cricketer finished strong with three consecutive best-on-ground performances to win the Best and Fairest with one round to go. Duffin polled in 12 of her 13 matches this season with five three-vote performances, one two-vote and six one-vote efforts. Carlton forward, Darcy Vescio capped off her stellar season inside 50, receiving the Rohenna Young Medal. Vescio kicked 26 goals from nine games, averaging 2.89 goals per game. This was highlighted by a nine-goal performance against Essendon in Round 16. Vescio finished seven goals ahead of Darebin’s Hannah Mouncey (19 goals from 12 games), and 11 goals ahead of NT’s Jessica Sedunary (15 goals from 11 games), who finished third. The Carlton forward won the AFL Women’s inaugural leading goal kicker award in 2017, kicking 14 goals, and has now backed it up with the VFLW leading goalkicker award. Hawthorn defender, Jayde Van Dyk capped off a remarkable year in the brown and gold with an individual accolade to reward her for her efforts. Van Dyk averaged 15 disposals this year and was named in the best in 11 of her 15 games. She was also named in the VFLW Team of the Year in the back pocket. Van Dyk now has a an opportunity to become a premiership player after the Hawks defeated the Pies on Saturday to win through to the decider. Collingwood VFLW coach, Penny Cula-Reid has won the VFLW Coach of the Year award after taking her side to a minor premiership. In her first year of coaching, she took the Pies to a near-perfect season tally, with 12 wins, one loss and one draw. Cula-Reid formerly played for Collingwood in the AFL Women’s competition and represented the St Kilda Sharks in the Victorian Women’s Football League (VWFL). Hawthorn and Geelong lead the way in the VFLW Team of the Year with three representatives a piece. Hawks skipper, Emma Mackie and Greater Western Sydney’s (GWS) Rebecca Beeson made their way into the sides after stellar years in the midfield. Geelong’s had stars across the field in the Team of the Year, with Bec Goring leading the way down back, Richelle Cranston being selected in the midfield and Mia-Rae Clifford being named in the forward line. Melbourne University, Darebin, Southern Saints, NT Thunder, Williamstown and Collingwood each had two members in the Team of the Year. North Melbourne AFL Women’s duo, Ashleigh Riddell and Kate Gillespie-Jones were both selected in the back line for the Mugars and were joined by Darebin’s Meghan McDonald. Runner-up Best and Fairest, Lauren Pearce made her way onto the interchange best for the Falcons. 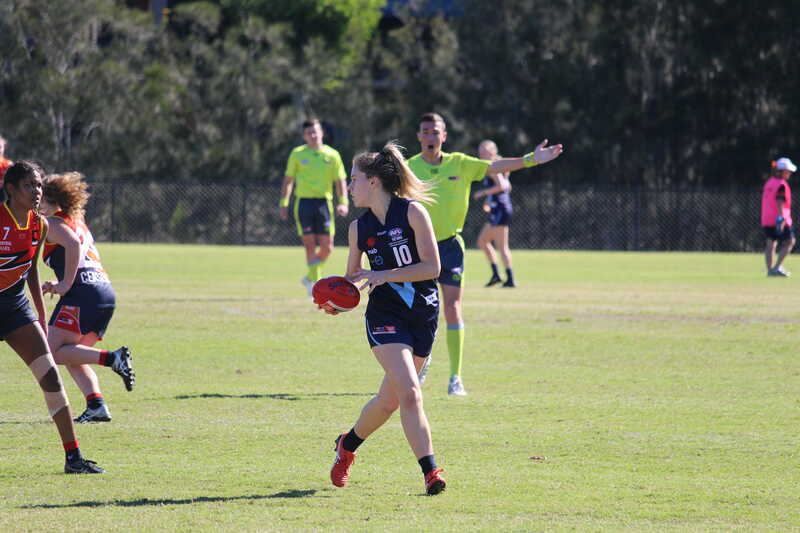 She was joined by NT’s Emma Swanson, who averaged 19 disposals in her 11 matches. Swanson’s Thunder teammate, Jessica Sedunary made her way into the forward line after kicking 15 goals from 11 games this season. The Southern Saints had two members in the midfield with Rhiannon Watt getting the main ruck spot while Alison Drennan took up a position on the wing. As expected, Jess Duffin got a spot in the middle for the Seagulls while Jasmine Garner was named at centre-half forward. For the minor premiers, it was Sarah D’Arcy and Sophie Alexander who led the way, with D’Arcy getting a spot on the half-forward flank while Alexander was named on the bench. Darcy Vescio, Hayley Bullas (Essendon), Libby Birch (Western Bulldogs), Bianca Jakobsson (Casey) and Alice Edmonds (Richmond) were the sole representatives for their sides in the Team of the Year. MELBOURNE University, Darebin and the NT Thunder all recorded crucial wins in Round 14 of the Victorian Football League (VFL) Women’s competition. Our writers were there to watch these three teams on their way to victory, and noted down some of the top performers in each cracking match. Showed good strength around the ground playing through the ruck and spending time forward. Zanker showed off her athletic capabilities, often leaping much higher than the opposition ruck and getting a clean tap to her midfielders. She also laid some great tackles and looked comfortable in the position. Had a few classy moments in the second half, breaking up a series of stoppages with great acceleration, but her shot on goal just missed. She applied good pressure on the ball carrier to force a ball over the boundary line, and read the taps from her rucks well, hitting the ball at top speed to burst away from her opponents. A prominent player in defence who stepped up in the second half. In the third term she stopped a certain Sophie Abbatangelo goal, going back with the flight to earn a free kick, and then in the next play, used her smarts to keep the ball in play and in front of her, kicking it along the ground to gain extra distance. In wet conditions, Sherriff was one of the cleanest players around and showed good vision and disposal by hand or foot to teammates around the ground. Laid some vital tackles too, balancing between offensive and defensive traits. The Gippsland Power tall contributed in patches on debut, lining up at full-forward as the 23rd player. In the second term she contested strongly one-on-one and won a free kick on the wing for in the back and gave the handball off to a running teammate. In the final quarter, she marked the first ball inside 50, working hard on the lead. Her shot on goal missed to the right and was rushed over. Showed off her trademark penetrating kick, leading out from half-forward and weighing her disposal well. She applied pressure to the ball carrier and was neat by hand or foot in transition and while she did not win a heap of the football, she laid some great tackles. A general in defence, Guttridge just patrolled the backline and showed great attack on the ball carrier. In the opening term she showed good strength to shrug off a tackler at half-back and kick cleanly to the wing. She constantly pushed up to the wing and hit the contest at full speed, trying her best to pump the ball long. She is a straight runner and can kick long inside 50. Copped a knock in the final term and was helped off, but could at least walk to the bench which was promising. Had a big day out around the ground, winning plenty of the football in the midfield and taking a kick-first approach. She laid some good tackles, but her highlight of the day was a monster kick from 50 metres which bounced through for a huge goal. Played a perfect forwards game, finishing with two goals, but also assisting her teammates in a couple more. She lead out and took strong marks, missing an early chance but then conjured something out of nothing, snapping a ball from the pocket. In the second term she set up Caitlin Greiser with a great lead out and then pass to her advantage, then nailed a second goal from a set shot which bent around the post to curl in. In the final term she marked deep and was unselfish to handball off to Kaitlyn Ashmore who ran in and kicked the easiest of goals. The Melbourne University captain was prominent throughout the four quarters, cracking in hard and winning the ball in tight. She would spread to the outside, and hit the scoreboard with a fantastic goal off a step from the left boot deep in the pocket under pressure. She showed how clean she was at ground level on the wet turf, and also had good vision and decision making to kick to her teammates’ advantage in space. She continued to run hard all game and won her fair share of the ball. Had a good inside game, working hard and putting pressure on the ball carrier, as well as using her stronger frame to assist her teammates. She laid some good tackling pressure in the opening term to force a turnover, and had a highlight reel moment in the second term where she charged from congestion. Unfortunately she found out how wet the ground was, taking a bounce which saw the ball roll away from her, but she recovered and handballed clear. Really strong in the midfield and clean at ground level. A prominent forward on the day who was one of Melbourne Uni’s best, dropping into the hole in the first term and intercepting a quick kick from a Demons defender. Her shot was on target but touched on the line. Not long after she used footy smarts to keep the ball in front of her while being chased, enabling a teammate to pick it up in space. 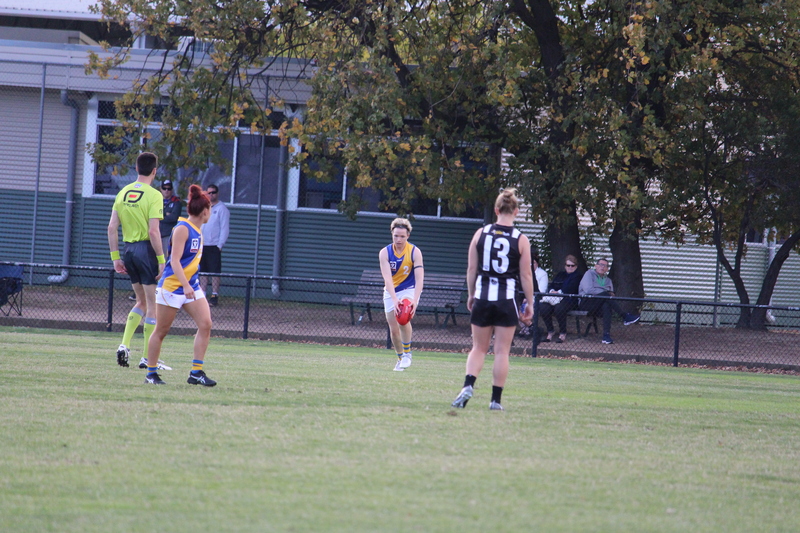 She worked hard inside 50 to outbody her opponent in the second term, turn around and kick the goal from 15m out. She had another chance moments later with a snap under pressure but just missed. In the third term she lead out, protected the ball drop well and kicked inside 50. But her highlight-worthy moment came with less than two minutes to go as she won a one-on-one, picked up the ball tucked against the boundary line and snapped on goal, bouncing once before going through for goal of the day. Liked her work out of defence, she rarely made a mistake in her ability to peel off her player, take a good intercept mark and kick long, or think her way out of trouble. She was clean and accurate with her disposal on a day which made it tough considering the conditions, and had a number of crucial rebounds throughout the game. Just a handful of touches on debut, but she put pressure on her opponents when down back. She used quick hands to keep the ball moving, and the one thing that stood out, perhaps more than any other player, was her closing speed and tenacity at the ball carrier. She mowed down opponents and in the final term, laid two huge tackles in a row, rewarded for her second effort, working super hard defensively. A tackling machine, Angelis just thrived on the contested ball and applying pressure all over, tackling an opponent in the second term to force a turnover. She also pounced on a loose ball and kicked it off the ground for a great goal. You begin to run out of things to say about this talent, and it is easy to see why. She wins the ball at ease and just has fantastic vision and ability to fire handballs to teammates at will. She missed a shot at goal running in early, as the breeze tucked it away, and another only after which was intercepted. In the third term, Prespakis showed unbelievable courage going back with the flight to spoil a mark and managed to avoid giving away a free, then got up and a moment later, snapped a goal out of nothing. Bounced off opponents at stoppages and never stopped running, having the ball on a string and dominating. Best on ground again. 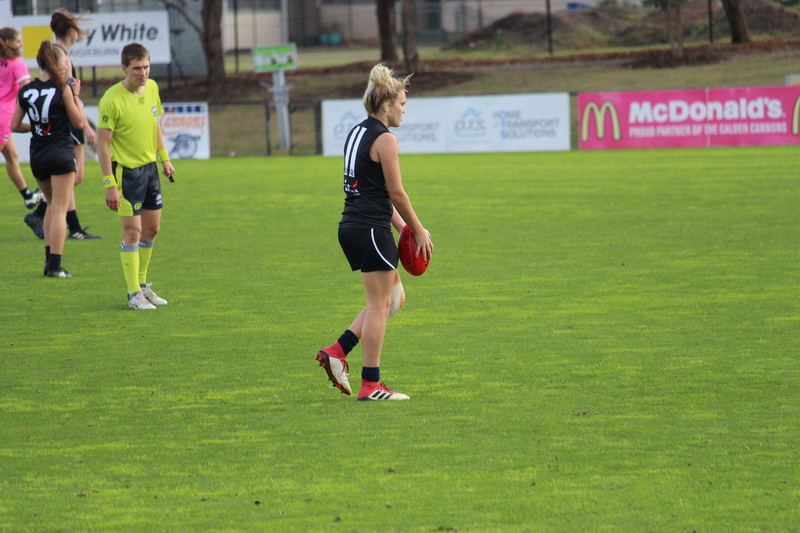 She was solid throughout the game, winning plenty of the ball and taking a heap of good contested marks. Callinan’s use of the ball was efficient and effective, hitting up targets while under pressure, showing good composure with ball in hand. Mithen applied plenty of physical pressure, laying a really strong tackle and winning a holding the ball call in their forward 50 leading to a goal from a teammate who played advantage. She used the footy well throughout the game showing great composure with ball in hand to check her kicks and hit up a teammate. Solid down in defence once again, hitting the packs hard and showed good composure under pressure. She showcased her class with a clean pick up off her toes and then good hustle to break a tackle and get boot to ball in the second quarter. McDonald continued her impressive intercept marking game, taking some goal saving grabs down back once again for the Falcons. She was a key player down back proving how important she is to their side. Lister took a good strong mark going back with the flight in the second quarter and showed good agility to get around her opponent and then bomb it inside 50. Her second efforts were good all game, showing she was not afraid to put her body on the line and win the ball at the coal-face. Good strong juggling mark just outside the goal square and converted in front of goal. Hammond showed some good hustle to trap and win the footy at ground level in the forward 50 and was clean in and around the stoppages with a really good pick up off the deck in the middle of the ground. She highlighted her footy smarts to dish off to a teammate and create a forward thrust for her side. Pearce continued her good form, taking a heap of good strong intercept marks which was credit to her ability to read the flight of the ball. She consistently impacted the contest and showcased her footy smarts, winning plenty of taps in the ruck and hitting it to her team’s advantage. She laid a crunching tackle in the third term where she chased down her opponent and won a holding the ball call, showing how important the one percenters are. Mouncey had a really good game for the Falcons taking a heap of contested marks under pressure and offering good leads through the middle of the ground for her teammates to hit up. She provided a good presence in the forward line and was effective in the ruck, showcasing her footy smarts with some good taps to advantage. She worked herself into the game and hit the scoreboard at a critical moment with a clever scrumming goal in the third term. Mouncey also bagged another major in the fourth quarter, helping to secure the win for the Falcons. Brown showcased her good hands in tight and around the stoppages. She used her long kick to clear the ball and move it forward for her team. She really started to work herself into the game in the second half, highlighting her strong hands and ability to read the flight of the footy. Brown worked tirelessly throughout the game, impacting the contest and scrapped hard at ground level to extract and win the footy. Watt was solid across the ground for the Southern Saints and showcased her good quick hands to release teammates into space. Her leads up at the footy were strong, helping to create space in the forward half and took a big contested mark. Watt created a real presence up forward and worked tirelessly throughout the game, proving to be one of the key players on the field. She showed some good dash and covered the ground with ease, highlighting her ability to run both ways. Bolding burnt off her opponent in the third term while streaming into the forward 50 but missed her shot at goal. She had some good passages of play but just missed a sense of composure with ball in hand, needing a few more steps to balance and compose herself before having a shot at goal or dishing off to a teammate. Had a really solid game for the Southern Saints and was not afraid to go in hard and win the footy at the stoppages. Brown showcased good clean hands in close and worked hard to release her teammates on the outside. Her ability to get into damaging positions and use the footy effectively and efficiently was second to none. She was strong around the stoppages, scrapping hard and imposing herself on the contest as well as laying some strong tackles across the field. Jones was cool, calm and collected throughout the game, taking a good strong mark under a heap of pressure from the Falcons. 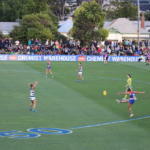 She slotted a big goal from about 40 metres out, showing her footy smarts and composure to go back and take her time to keep the Saints in it. Jones flicked the ball out of congestion with ease and was relatively accurate by foot, ensuring that she checked her kicks and hit her targets. Heath showed some good break-away speed to burst away from the pack and was good in tight, dishing off effective and clever handballs. She worked herself into the game, gathering a few possessions and tackling well to win the ball for her team. Her strong hands were a highlight of her game along with her good leads into space through the middle of the ground. Hildebrand delivered a good kick inside 50, penetrating the ball forward. She won a good one-on-one battle against Jenna McCormick. Also delivered a nice centering kick into the centre square. Laid some great tackles, showing her intent to win the footy. A highlight of her game was when she streamed through a couple of players and gave off the handball. Also took a good intercept mark. Delivered a magnificent pinpointed pass to Kristy Stratton on the lead inside 50. In another instance, Whitford sold the candy, evaded two tackles and thumped the ball forward, which was a highlight of her game. She also displayed good run and carry towards forward 50 during the game. Grubb won a lot of the footy and got a well-deserved goal on the board for her efforts. Executed a great fend-off and followed it up with a nice kick inside 50. Grubb also displayed great run and carry through the middle of the ground. Lynch was able to read the play well and show good composure. Delivered a nice short kick to Hannah McLaren and took a good mark on the edge of defensive 50 out of the full back kick-in. Also delivered a good kick to Jessica Edwards, which started a forward thrust. Had excellent awareness to chip a kick to Stacey Livingstone in the goal square rather than try to attempt the goal from a difficult angle. In another instance, Bateman read the bounce of the footy beautifully and converted her first major of the day. Played a sensational game for the Pies and was their best-on-ground in my opinion. She executed a good burst of speed and followed this up with quick hands out of the pack. Was able to play on out of defensive 50 to find a target, highlighting her footy smarts out of the back half. McLaren also took some good defensive marks and did whatever she could to get the ball moving. This was demonstrated when she gave off a great handball on hands and knees which opened up the play for the Pies. In another instance, she evaded her opponent well and got the ball forward. Also gave off a nice high handball to get it out of the contest. Took a good intercept mark off a Brittany Bonnici kick. Also read the the play well to get her boot on the ball and kick a goal to bring the margin within one point. Roberts did well to kick the ball inside 50, always trying to penetrate the ball forward. She was able to hit targets with her kicks and even did so while being tackled on one instance. Roberts executed a great pick-up of the footy and followed this up by streaming inside 50 to put the Thunder in front in the dying stages. Hickey was the main target up forward and led hard to the footy all day. She was able to kick the ball nice and straight through the goals, highlighting her sound kicking action. Hickey too showed great run and carry inside 50 with an exciting element of acceleration. She was able to use this acceleration on her leads, bursting away from her opponents to mark the ball lace-out. Like Thorn, McCormick played a sensational game for NT. Delivered a nice spearing pass to the wing, getting the ball on her boot plenty of times. Also delivered a nice long ball down the wing and also used her hands well, executing a long handpass. Executed a nice kick toward forward 50 and backed it up with some great intercept marking throughout the game. A highlight of her performance was when she stopped Jessica Edwards in her tracks when she was streaming inside 50. Laid another great tackle to dispossess her opponent and kick it down the line. Executed a good kick while being pushed, showing her strength in the contest. Did well to burst through traffic and showed good run and carry out of the back half. Sedunary also hit up Sue Nalder nicely inside 50. She was NT’s best for mine. Executed a good fend-off and burst well into the forward line. She evaded a couple of players and kicked it to Jordann Hickey for a set shot in a marvellous piece of play. Thorn fended off well again in another instance, this time against the strong Emma Grant. Worked well with Hickey inside 50, delivering another good kick to her. Thorn displayed excellent run and carry and combined this with good bursts of speed. 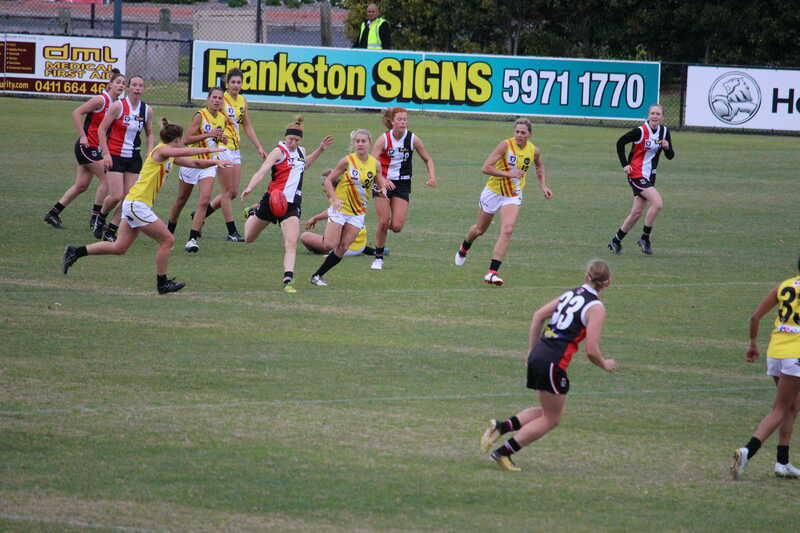 Took a great uncontested mark off a Sue Nalder kick that dropped short to give her a shot at goal. Also laid a great tackle on Stacey Livingstone.